Active Shooter Security: You Don't Have to Become a Prison! Prefer to watch instead? Check out the video discussion of this content here! Now that you have learned about Workplace Violence Policies and Active Shooter Training, we are going to look at the options you have for adding physical security measures to your facility to prevent or mitigate an Active Shooter event. The goal of this article will be for you to not only understand the various physical infrastructure additions you can make, but also the logic and limitations of those mechanisms. If you missed the other three articles in this series, you can find them here on our blog! Adding physical infrastructure, such as door locks and cameras, is a common starting point for organizations looking to increase the safety of their site and employees. Security upgrades can seem like a desirable place to begin because they are more tangible of a solution than policies and are perceived to be less scary for employees than training. While these additions certainly have their place in a comprehensive program, they are often mistakenly believed to solve more of the problem than they actually do. Unfortunately, too many organizations get far down the path of installing unnecessary gadgets that not only do not solve the real problem but also waste significant money in the process before realizing that they should have consulted with an expert first. For this article, we are going to focus on security upgrades that relate specifically to the Active Shooter issue. If you wish to learn more about the additional security measures needed to round out your Workplace Violence program, we suggest starting with a consultation call or site security assessment. Let’s jump into the details on some of the common physical infrastructure measures that your organization may consider. Upgraded door locks are one of the most common mechanisms that are installed for protection from an Active Shooter. A frequent solution involves locks that can be activated by the push of a button, effectively locking down all doors in the facility in just a few seconds. This technology is certainly good in theory and, when utilized as part of the bigger picture, can be an advantageous mechanism when needing to keep someone out of the building. However, there are several limitations that are often overlooked when choosing to install these or similar locking systems. The first seems to be the most obvious yet is routinely missed when we are talking with clients. Organizations will spend thousands (and thousands and thousands) of dollars to lock their doors without considering the composition of the doors that those locks are placed onto. Fancy locks on glass doors do nothing but provide a false sense of security. A violent intruder will encounter the brief resistance of a locked door and then either shoot or break out the glass. Glass is the biggest offender of poor door quality, but close runners-up are hollow-core doors or ones with a weak door frame or hinges. These doors can easily be forced open with hard impact or an attacker firing at the hardware. When assessing options for improving your locking systems, make sure you also look at these other factors for your door integrity. Even the best locking system will be rendered ineffective if the door frame or other hardware are not suitable. Organizations are also often tempted to think of an Active Shooter as an external problem; one that will start on the outside of the building or provide enough warning to go into lockdown. That is often not the case and the attacker may be well inside the building before opening fire or drawing any attention to himself. With the exception of a specific individual who has been given a no-trespass order for the property, an imminent assailant may not raise any red flags as they enter. Businesses that are closed to the public which can keep their doors locked at all times will have an easier time controlling this entry, but that does not eliminate the risk of the attack happening on the inside by an employee or someone who is able to gain entry by tailgating (following closely behind someone who has key access) or breaking their way in. Needless to say, door hardware by itself leave serious gaps in your security and cannot be your exclusive or primary answer. However, when supplemented by our next suggestion of physical infrastructure, locks do begin to make a more significant impact. When you hear “glass security”, you likely first think of bullet-proof glass, which is the most commonly known version of impenetrable glass. If you have done any research on this as a security solution for your organization, you will have quickly found out that not only is it very heavy and impractical, but it is also incredibly expensive. And fortunately for you, it is unnecessary! In recent years, several versions of a security film have made their way into the industry and have made glass security much more accessible to the average organization. There is a range of quality and function with these products and you will want to connect with a neutral third-party expert, such as with our consultants, to decide what is the best answer for you. We would advise against only consulting with the vendor for that product, as they will likely guide you to their version, regardless of suitability. On the lower end of the product, both in price and function, is a film that adheres to your glass that will maintain the integrity of the glass when impacted but will not stop a bullet. This means that an intruder could attempt to shoot out your glass door, and although the bullet will travel through, the film will keep the glass together enough that he cannot get through. The limitation of this is that with enough bullet holes or other forceful impacts, the person will eventually be able to break through and gain entry. However, this will take significantly longer than entering through glass without film and those precious minutes can be used to lockdown internally and call Law Enforcement. 3M has one such version that is sold through a variety of vendors. Another company that we believe offers a great product is called Absolute Defense. 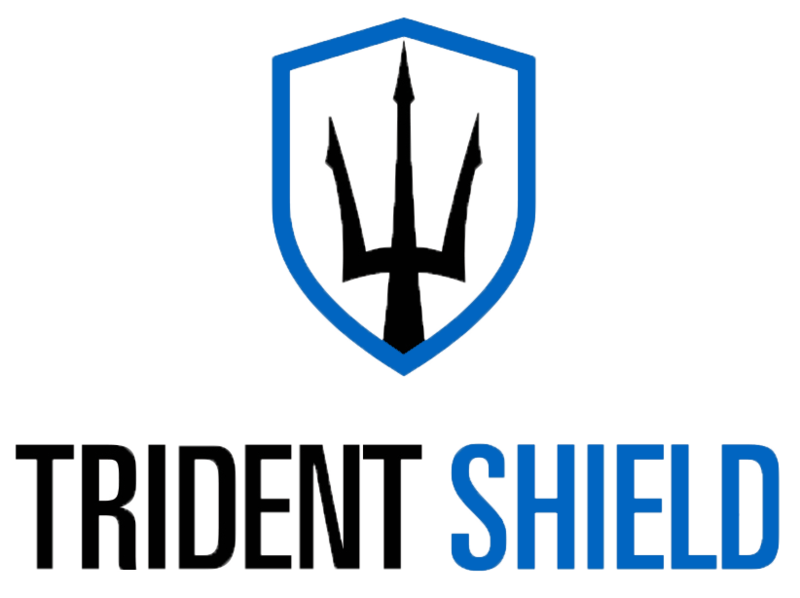 They have a very successful history of making bullet proof and resistant glass for military and government property and have recently branched into offering a version for the private sector.  Their product is a higher quality than the thin films and do actually have the ability to stop some calibers of bullets, in addition to maintaining glass integrity. We would recommend putting some version of these products on your main entrances and exit doors and any other vulnerable exterior doors and windows. You may also want to consider putting it on interior windows and doors, especially on those of higher-risk individuals, such as your C-Suite or HR, or classrooms in a school. One interesting fact to note is that the Parkland School shooter attempted to shoot out the third story windows at people escaping, but the windows were “hurricane-resistant” and acted in a similar manner to bullet-proof glass and prevented the bullets from traveling through. This goes to show that improving the integrity of your windows and other glass can be a life-saving decision. Using this security film in addition to the locking systems discussed above will make your vulnerable points of entry much more secure. Do understand, though, that if you choose the type of film that cannot stop the bullet, anything or anyone within a straight line of fire from that door is still at risk of being hit. Similar to door locks, security cameras are another physical infrastructure item that are too often used as “the solution”, instead of a piece of the puzzle. We love a good camera, but you have to realize that if you do not have someone actively monitoring a live-stream, they will only be good for post-incident reporting and not play a role in preventing an active shooter. In lesser versions of Workplace Violence, the presence of cameras may dissuade a would-be perpetrator from carrying out an act of violence if they believed they would be on film, but someone intent on killing for the sake of killing will likely not care about this fact. That being said, high-quality cameras do bring value to your overall site security and should definitely be considered as part of your program. If your organization has a receptionist or other person at the front entrance, we recommend that they have monitoring access to the cameras. Place cameras in the parking lots, at the front entrances, and any elevator entry point into your building. This will allow the person on the ‘front-line’ to see if someone suspicious is approaching the building and give them notice before someone appears in the lobby area. In our site assessments, we interview receptionists for organizations and repeatedly hear how vulnerable they feel that a visitor can literally show up in the same room with them without any warning. Strategically placed cameras and the ability to monitor brings valuable peace of mind and precious reaction time if an imminent threat is noticed before it is in the building. In areas where a camera is not appropriate (i.e. your restrooms) or are not a high enough risk or traffic area to warrant a camera, motion detectors can be a good addition to your physical security systems. Detectors placed on walls or door frames can alert you to activity in that area by either sounding a local alarm or set off an alert at a panel. This additional layer of security will provide you with a more complete picture of any activity occurring around your facility and a local auditory alarm will also alert any intruder that others have likely been notified of their presence. Panic or duress alarms are a great addition to your physical security and one that we recommend to essentially all our clients. Once an active shooter attack has begun, one of the most important actions to take is to notify emergency responders to begin that response time. In the chaos and stress of the event, phones may be left behind or you may find it difficult to dial and speak to the 911 dispatchers. A panic button system allows you to contact these emergency services with just the push of a button; a simple action that can save time and ultimately lives when utilized in an attack. Many organizations have taken the step to install a panic system but stop short of using the mechanism at its full, and most useful, capacity. We commonly see a panic system that has several hard-wired buttons in areas that are thought to be the most likely location where an attack will start, such as the receptionist desk and perhaps the HR office. While hard-wired buttons can be part of this system, you should also have wireless pendants that can be worn by personnel around your building. The reality of an active shooter attack is that you cannot predict where they will begin or where they will evolve. As such, your emergency alert system should not be stationary, because that limits your chances that someone will be in the necessary location to use it. For example, when a button is stationed at the front reception desk – an area that is often an initial target – the person sitting there will be focusing on rapidly exiting the area and will likely not pause to hit the button before leaving. You will also want to make sure your system is set up to call out to emergency responders and not just act as an internal alarm. Some systems have an internal alarm only sounding at a mounted panel, but we feel that defeats the purpose of having a subtle and quick alarm mechanism. Pressing the panic button should call out to the third-party monitoring service (which will then notify emergency responders) or go directly to the emergency response system. Adding the step of requiring another person on the inside of your facility to notice the alarm panel being activated and then call out to 911 will lose precious time and have the high probability of that alert not being properly passed on to the appropriate location. The last suggested item for this article is not quite a physical security device but is a component that supplements both your policies and active shooter training. This addition is a Mass Notification System that will allow you to easily communicate with all persons in your building of imminent or active violence. Clear and simple communication is an essential piece of an effective response during an active shooter and alerts can make the difference between life and death for those who are not immediately aware of the threat. We can look again to the Parkland shooting for a tragic example of how the lack of communication may have costs lives. In this instance, all casualties occurred on the first and third levels of the school. The first floor saw the loss of life due to the immediacy of the attack and not having time to respond. Persons on the second level were able to hear the gunfire and barricade or escape and this resulted in zero deaths on this floor. Unfortunately, the third level was too far away to hear the gunfire and had no warning up until the point that the shooter made his way to that floor. It is believed that an alert went out over the loudspeaker but it was drowned out by the fire alarm, which was reportedly activated by the gun smoke. While we cannot guarantee this to be the case, a mass notification system that could have sent alerts to everyone in the building may have bought those on the third floor the time they needed to barricade safely before the gunman made his way to that level. You will want a Mass Notification System that sends alerts to a multitude of devices, including computers and cell phones. It is virtually guaranteed that the majority of people in the building will have their phone with them and are more likely to get that emergency message than relying solely on a loud speaker, which is not always reliable as we saw in Parkland. As you research system options, ask if the vendor places any limitations on how many people can be provided the ability to send the messages. You will want as many people as possible to be able to send the alert, rather than relying on just a few. If you have only given a select group of people this ability and those people are impacted by the initial round of attack, you are risking an alert never being sent. At a minimum, you will want several people per area of your building to have the ability to send messages through the system. This will also enable a variety of people to send updates as the attack evolves. In the Parkland situation, an initial alert notifying the building of the attack would have allowed the second and third floors to barricade properly and then on-going updates of the shooter’s movement (i.e. “shooter on stairs to second level”; “shooter outside library”), would have given people real-time information that would have been invaluable in determining what response option they should be preparing to perform. There are many Mass Notification Systems available on the market today. LiveSafe is one that we highly recommend that has uses beyond just an emergency alert system. Alertus and Everbridge are two other popular ones that have worked well for our clients. These are some of the primary physical security measures that you should consider implementing as part of your Workplace Violence program but is likely not a complete list for what your organization needs specifically. We highly recommend pulling in a third-party expert to help you navigate this world, so that you don’t waste your time or budget on devices that ultimately do not solve your problems. As was mentioned earlier, do not rely exclusively on the advice of the vendor themselves, because you are likely to get a biased recommendation for what you need. We routinely perform site assessment and provide full recommendation reports for what an organization should implement for policies, training, and physical security. We would love to do the same for you! You can email us at [email protected] or find us on our website for more information.